Delight yourself in this pristine Liberty model home. New to the market and ready for its new owner. Why build when you can move right in to this lovely lakefront 3 bedroom home. The expansive water view is so relaxing on the extended lanai and thereâs plenty of room to add the pool of your dreams. This home site is perfectly situated with a southern exposure, amazing sunsets, and ample room between you and your neighbors. Inside youâll find an open floor plan with a large kitchen, great room and Den or Office. Tile flooring, tile back splash, recessed lighting, sliding door, inside utility room, and security system are just some of the upgrades youâll enjoy. The spacious master suite has an amazing lake view, 2 large walk-in closets, water closet, walk-in shower and a large dual sink vanity. Two additional guest bedrooms and guest bath are conveniently located away from the master to offer privacy for all. There is a full size 2 car garage, radiant barrier, foam insulation, and in-wall pest control system for added benefits and upgrades. 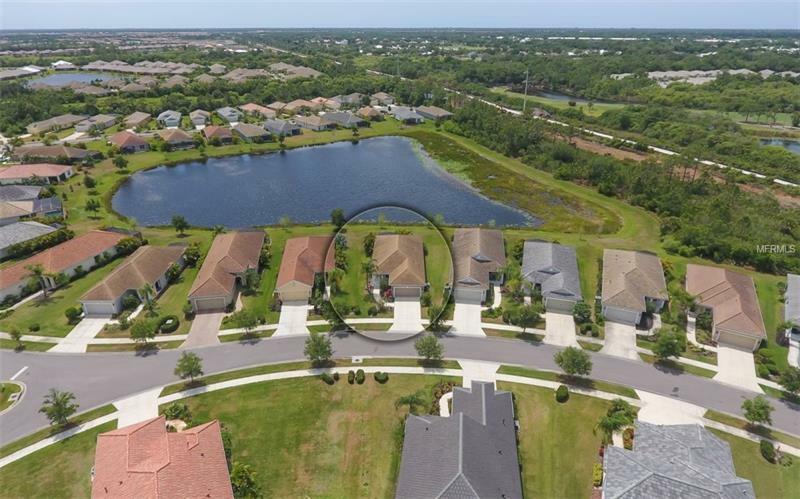 Grand Palm is an amenity rich community with low fees. There's plenty to do with a full time activity coordinator and a monthly calendar of events. Grand Palm offers a fitness center, club house, tennis, pickle ball, bocce ball, 2 community pools and spa. Schedule your private showing today and take advantage of the generous buyer incentives being offered!